Prof. S. Caroline Taylor AM harboured a private dream. Having survived long term sexual and physical violence, described by one judge as the worst case of abuse they had come across in their time on the bench, Caroline had to rebuild a new life with no family support or connections and with very little formal education. Determined to rebuild a life on her own terms, Caroline set out on her journey, and entered University education as a mature age student. Achieving stunning success in her educational pursuits Caroline went on to do a PhD that won a national award and produce two highly acclaimed and influential internationally published books. In recent years Caroline has been awarded prestigious awards and academic funding grants from bodies such as the Australian Research Council and Australian Institute of Criminology. She continues to publish monographs, books, journal articles and book chapters as well as provide training to police, judges and other professionals around the world. With a growing international reputation as an academic researcher and her hands-on work to improve the lives of children and adults affected by sexual violence, Caroline now provides specialist evidence in criminal proceedings. Her journey in life thus far has taken her from a childhood of poverty and abuse that continued into early adulthood; sporadic early schooling; rejection by her family for escaping and disclosing the sexual abuse perpetrated upon her, followed by a series of legal trials that resulted in the conviction and gaoling of the offender – to her determination to learn to live a full life – not a life half lived, Caroline rebuilt a life from ashes. Putting herself through night school and university where she received stunning results; to creating a life filled with nature and close friends and holding her dream of creating a unique charity. Acutely aware of the traumatic impact of childhood sexual violence, Caroline was increasingly aware that so many child and adult survivors of sexual abuse had their healing and recovery compromised by a lack of meaningful access and connection to knowledge and personal development. From her own experiences of rebuilding a life and the role education played in enabling a deeper level of personal growth and development, Caroline dreamed of developing a foundation that would provide tangible and supported pathways to education for children and adults affected by childhood sexual violence. A foundation that assisted survivors to remain connected to education, to improve their access to educational, vocational and personal skill development; to assist adult survivors re-access education at all levels where their education had been disrupted and compromised or even denied them, as a consequence of sexual abuse. Prior to establishing her foundation, Caroline provided informal mentoring to survivors who contacted her. In 2004 Prof. Taylor’s dream was realised to found a Foundation that assists making the dreams of survivors a reality. A small number of dedicated members began to fundraise for the purpose of raising money to fund scholarships for survivors and in doing so create educational pathways. From the start Prof. Taylor knew what she would call the Foundation: Children of Phoenix. And, in addition, “the tears shed from the phoenix are able to heal the deepest of wounds”, and for Caroline, “survivors are themselves, wounded healers who, despite their suffering, undertake complex and courageous journeys to not simply heal themselves, but to give support and hope to enable the healing of others. One of the most noble and healing contributions you can make to the life of a survivor is a future because they can be robbed of that…Children of Phoenix is not a charity – it is about change and that is why it is so empowering for survivors and for those who work with, and support the foundation. It represents a deep commitment and passion to providing resources that allow a person to achieve their own potential that is so often hidden or compromised as a consequence of abuse”. To date, Children of Phoenix has supported many survivors to rebuild assisting with all levels of education from Primary School to University; formal and vocational training; or to just learn a new skill that realises a dream and gives confidence. $100,000.00 has been raised over the last 10 years and provided in Educational Scholarships! With the support of a growing and dedicated number of foundation members and businesses, Caroline’s personal dream is being realised, Children of Phoenix will be able to assist more survivors. A Board is in place that has been selected based on the skills and professional ability of those who will complement the Friends of Phoenix, many of who have been an incredible support for Caroline and other survivors. Caroline had a vision for a cuddly bear that could assist children of all ages to communicate their feelings and emotions to those around them. Thanks to the very kind and generous support of Integra (aka Roadcon) the CT Feeling Bear was developed in 2008 and launched in December 2008. This bear is another dream of Prof. Taylor’s and will provide an important communication tool about feelings and emotions between children and their parents and carers. Former Victoria Police Commissioner Christine Nixon APM has publicly commented on the value of Professor Taylor’s work. In 2005, in The Age newspaper, Christine Nixon described Professor Taylor as a “courageous reformer” in recognition of her courage in rebuilding her own personal life and her explicit contribution to law reform and advocacy for children and women. 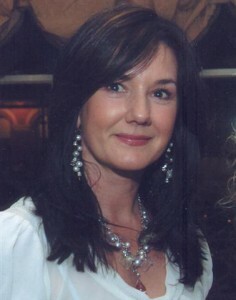 In 2008 Christine Nixon was appointed our inaugural Ambassador. During her time as a police officer in New South Wales and Victoria Christine has ensured that violence against children and women is a priority area of police work, leading to stronger police responses to crimes of sexual and physical violence that affect so many children and women. Caroline is Professor, Foundation Chair of Social Justice at Edith Cowan University in WA, and is located in Victoria. She has an international reputation as a scholar and human rights advocate. By invitation she has presented her work and ideas for reform to police and government bodies both in Australia and internationally. The author of several books and numerous scholarly articles and reports, she also heads up major national and international funded research grants. Further, she also provides expert evidence in sexual offence proceedings.